Manchester United head into their final Group C game knowing they need at least a draw away to Basel to progress to the knockout stages of the Champions League. They haven’t failed to make it through the group stages since the 2005/06 campaign when they finished bottom of their group. United head into this game as the big 4/7 favourites to get the victory they need to give themselves a great chance of topping Group C.
And, looking at United’s record in Europe, it’s easy to see why. United have lost just four Champions League games since 2007 and have lost only one of their last 25 European away games. Despite being far from their best in Europe, they are also undefeated in this year’s competition. However, they drew 3-3 with Basel in their previous encounter at Old Trafford and they will not have things all their own way in Switzerland. The draw can be backed at 11/4 while a shock win for Basel – who are undefeated in nine – is 5/1. United have shored up their defence since their 3-3 draw back in September and have kept six clean sheets in their previous nine games in all competitions. With Sir Alex Ferguson’s men shipping only one goal in their previous eight Champions League away games, this looks like being a fruitless evening in front of goal for Basel. Backing under 2.5 goals at 6/5 looks a very tempting bet while, if you’re feeling confident of a United victory, they can be backed to win to nil at 13/8. 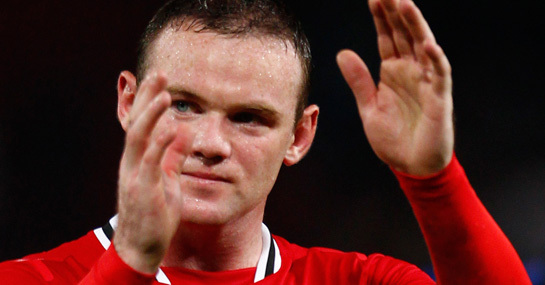 Finally, with Javier Hernandez out for a month with ankle ligament damage, Wayne Rooney will be the focus of the United attack and is currently 4/1 to be the first goalscorer.